What's better than getting two stylish looks in one? This fashion hoodie by Fore!! 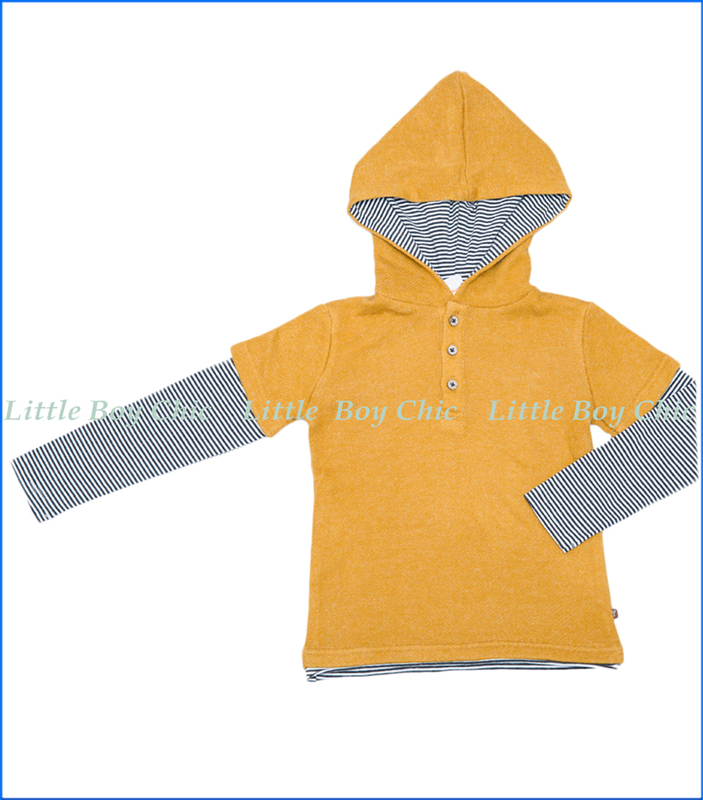 has a half-button front top and hood with 2fer faux striped sleeves and hem. Hood interior has matching stripe design. Three button front placket. Woven label at the seam.